My family and I have recently returned from 6 weeks travelling to the Kimberley (that’s why I haven’t posted on here for a while) and it’s been hard for us to adjust to the cold and wet conditions from wearing shorts and t-shirts (if that) every day in the tropics. With a brief respite from the cold, blustery conditions today I managed to snap a few birds soaking up the sunshine before the conditions turned arctic again. 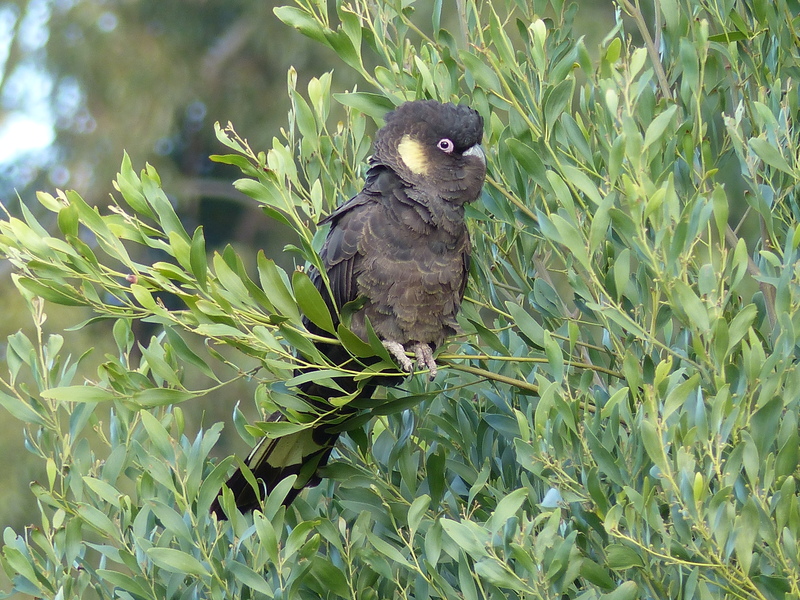 A large flock of raucous Yellow-tailed Black Cockatoos descended into a tall Blackwood in front of our house and began chewing at the bark of the tree in search of wood-borers. The sun was in the wrong spot for any good photos of the flock but this individual was apparently uninterested in joining the antics and was more happy to pose for my camera. After a good feed, the flock burst almost simultaneously from the tree to move to another Blackwood further down the valley. Red-browed Finches have only recently begun establishing themselves in our 4 year old reveg area on our block. This little guy, like the Black Cockatoo, spent a fair while by it’s self soaking up the rays of sun before disappearing with it’s flock into a thicket. 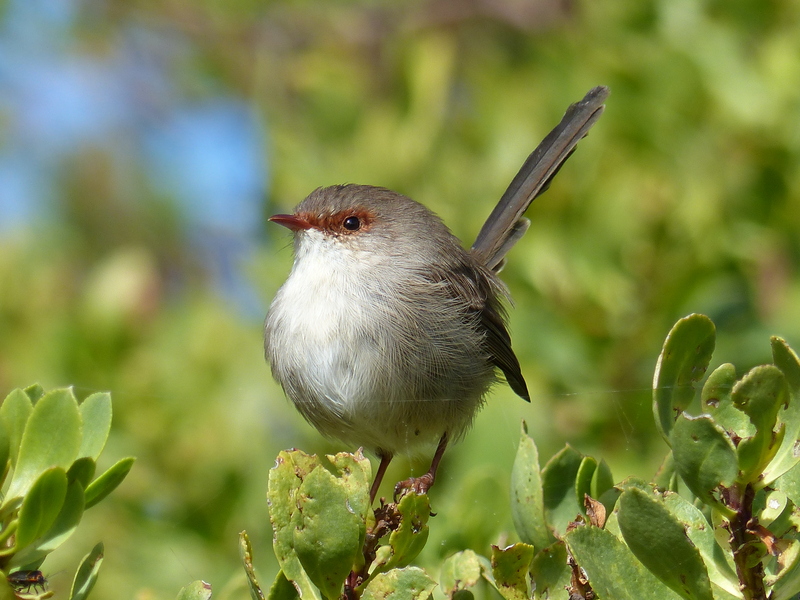 Superb Fairy-wrens are one of those birds that you become so familiar with they’re like an old friend. Like most of the other birds today this female loved enjoying the temporary sunshine. 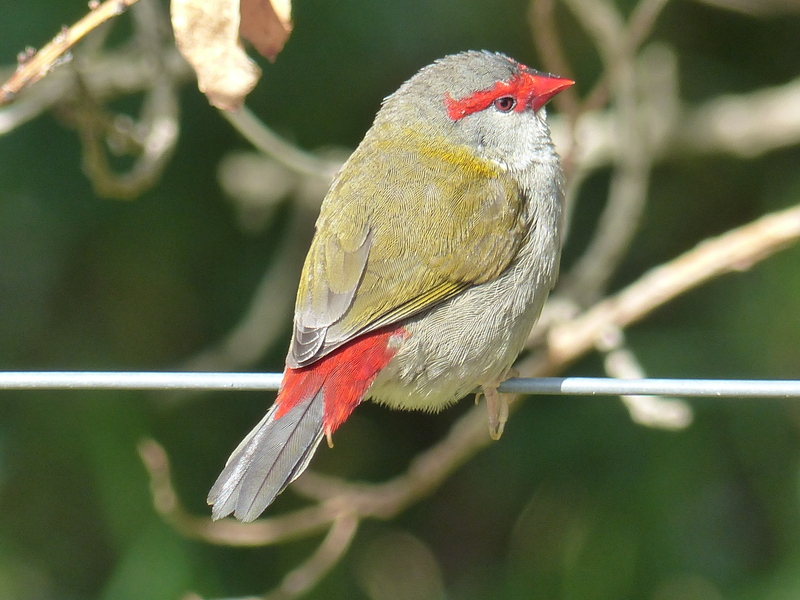 Categories: birds, gippsland, victoria | Tags: birds, red-browed finch, superb fairy wren, yellow tailed black cockatoo | Permalink.